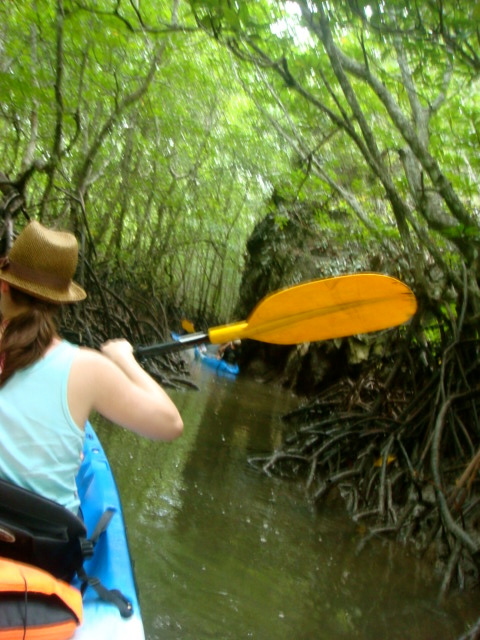 The first time I went Kayaking was in Harlow Outdoor Pursuits centre with the guides. I really loved it. Then I completed my Bronze Duke of Edinburgh expedition in a kayak along the Grand Union canal. Last year I went on the kayaks in the sea in Busan. 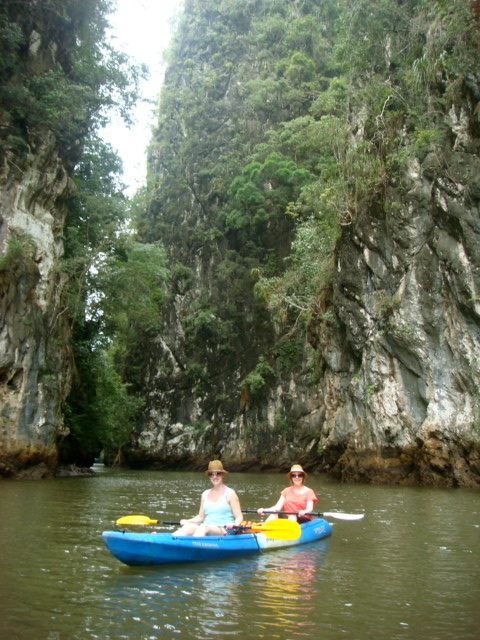 This year I had a much better kayaking partner in Nic and we went kayaking in Krabi. 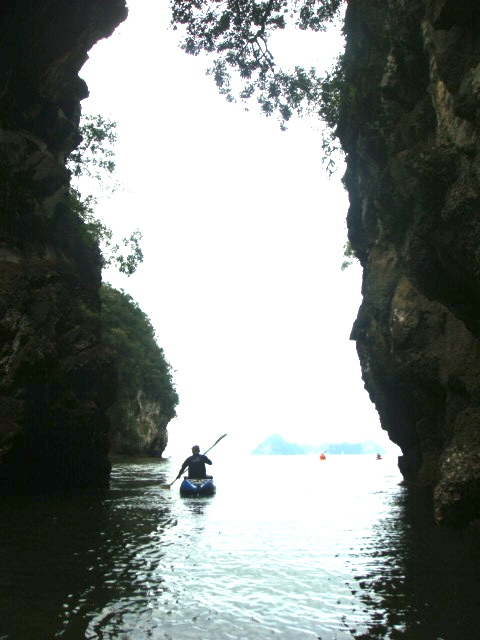 If I ever make it to Ha Long bay in Vietnam I will be taking a kayak out on the sea there. 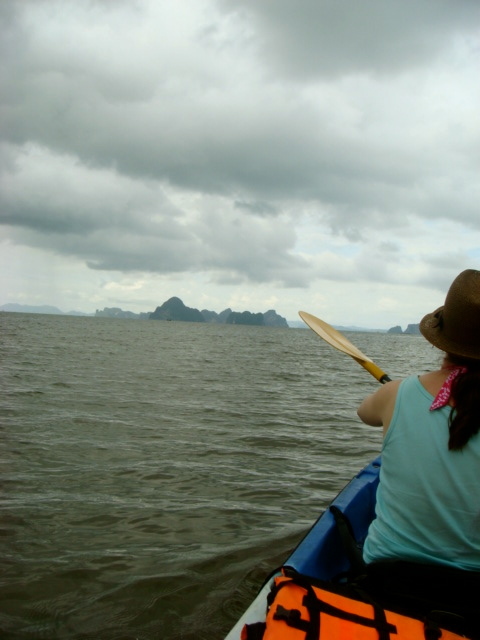 We were really lucky in Krabi because there was only one other couple (from London) on our tour. Our tour guide took us the reverse way around the route so as to avoid the large tour group who floated off just before us. This was really good move because we got a calm peaceful experience paddling our way through the beautiful scenery. Our guide was extremely friendly, knowledgeable and interesting. Perfect way to spend our morning, and we luckily missed the rain as well. 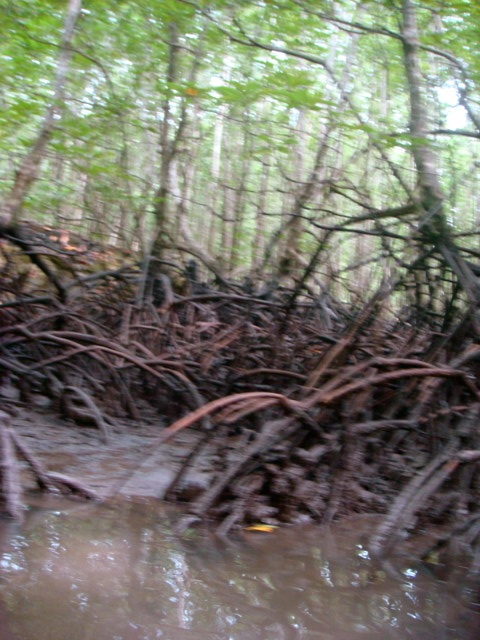 These are mangrove trees. Their roots are above the ground, and they serve as a good place for sealife to live in its early years, protected until big enough to face the big wide ocean! I think they look like they're standing on tip toes! We were just in time to pass through this narrow part because the tide was going out and the water level becoming too shallow to pass. 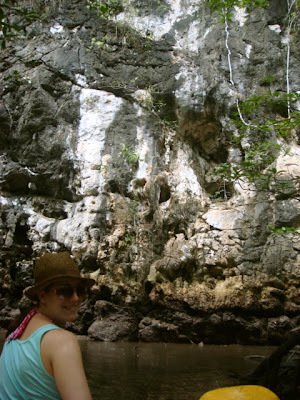 We got stuck a couple of times on branches or rocks under the water. Yellow crab with one massive claw. 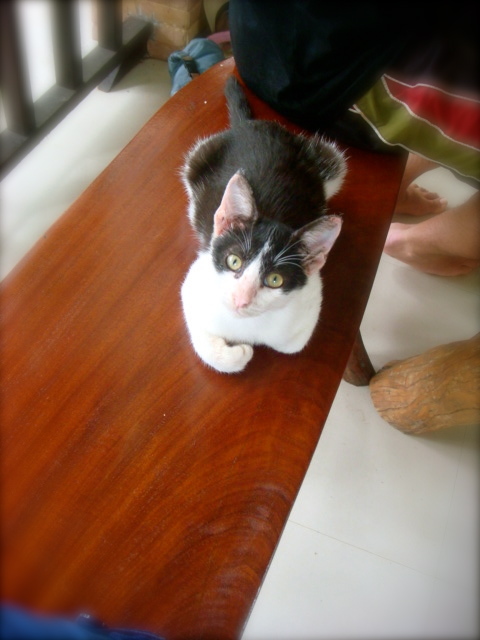 The Cheekiest cat I've ever met! It is just amazing. It is really appreciating.Thanks for sharing.